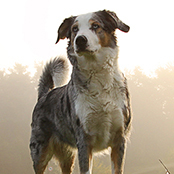 This true-blue Aussie is a sturdy hard working dog that thrives on having an important job to do. This true-blue Aussie is a sturdy hard working dog that thrives on having an important job to do. A loyal and loving breed that is wonderfully suited to life on the farm or being an integral part of a loving active household. The lovable ‘blue or red heeler’ is certainly a hardworking breed that loves to run and herd. Getting its great nickname from being a top ‘heeler’ or in other words…wonderful at nipping the heels of the cattle they were busy herding. Because of this, the Australian Cattle Dog is a 100% working breed and needs a good dose of training to keep them occupied, happy and able to stretch their legs without worry (cue a good recall command). In the right hands they are a breeze to train and will thrive on all forms of dog sports including flyball and agility. 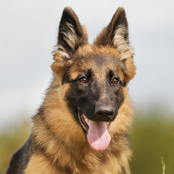 This breed loves to learn new things and please their owners which is a wonderful combination for easy training. 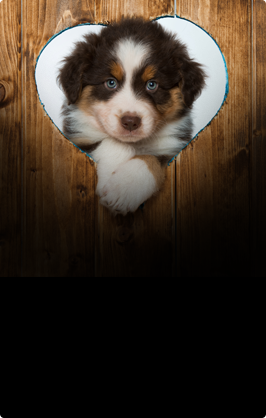 Early socialisation, like with all breeds, is important so, lots of loud noises, sights, smells and experiences in the first few weeks will grow your adorable pup into a well-rounded, sociable dog. A brush and go, easy to groom breed that requires minimal maintenance. A quick rub over with a rubber mitt once or twice a week will suffice for this loveable breed. They will seasonally shed, but nothing compared to his canine friends. Increasing the twice a week groom to once a week will help during these months. Bath when required. It’s a good idea to get your Heeler pup used to having their feet, ears and mouth touched. This will make vet check-ups easy and stress free. Also get your pup used to having their nails clipped regularly. The Heeler is first, and foremost, a working dog. 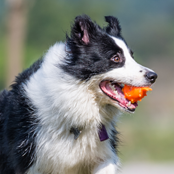 They need ample exercise and entertainment, or they will most certainly make their own, including digging numerous holes, escaping, barking and chewing – loads of fun for a dog, but not so much for owners. A good brisk walk in the morning alongside a decent off-leash run in the afternoons, followed by some play sessions. For this reason, they are not suited to life in an apartment. The Heeler is without a doubt an incredibly smart breed and requires not only physical stimulation, but also mental. 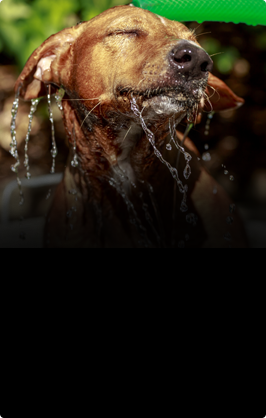 The breed has been specifically bred to have an important job to undertake, so, it’s vital you enrich your pup’s environment for when you are not at home to avoid problems. Give your Heeler a ‘job’ to do or they may find their own, like digging you a new swimming pool. Always exercise your dog before leaving for work, remembering that a tired Heeler is less likely to be a problematic Heeler. Also consider rotating toys (remember to remove them when you get home), and utilizing some good boredom busting techniques like treatballs, and activities to do when you are not around. 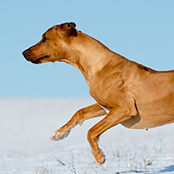 Training also plays a big role in preventing problematic behaviours in energetic dogs. In the right home, with the correct training and socialisation, the Heeler makes a wonderful family companion. 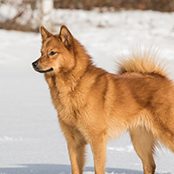 However, it is important to note that this breed has been trained to nip and herd, so it is essential to train this trait out of your pup, and also expose them to children from an early age, and right throughout their lives. Like all dogs, supervision when interacting with children is paramount. As too, teaching children the correct way to play with a dog, and also train the dog the correct way to interact with the children. If raised alongside smaller animals like cats, they can learn to live in harmony. Socialisation is key with this breed. The more they learn to love as pups, the easier their integration into the family home. They have a strong prey instinct, alongside herding. Remembering that this is what this breed has excelled in, so the history and wonderful traits that farmers cherish need to be taken into account. The Heeler does well living outdoors while you are not at home but is a loyal loving friend who should be invited into the family home once you return. They do not take well to a solitary life outdoors without the love and devotion of their human pack. 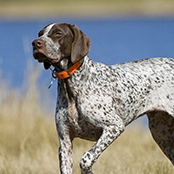 They are a hardy breed and will require a good fenced yard (check weekly) that they can stretch their legs and explore. Providing ample shade in the summer and shelter in the winter is crucial.